We had a lovely day today with our friends Caterpillar Tales. This morning they were holding a fundraiser at their Toddler Group for The Lullaby Trust in memory of Matilda Mae, so we went to support them with that and then afterwards we went back to their house for lunch and play. 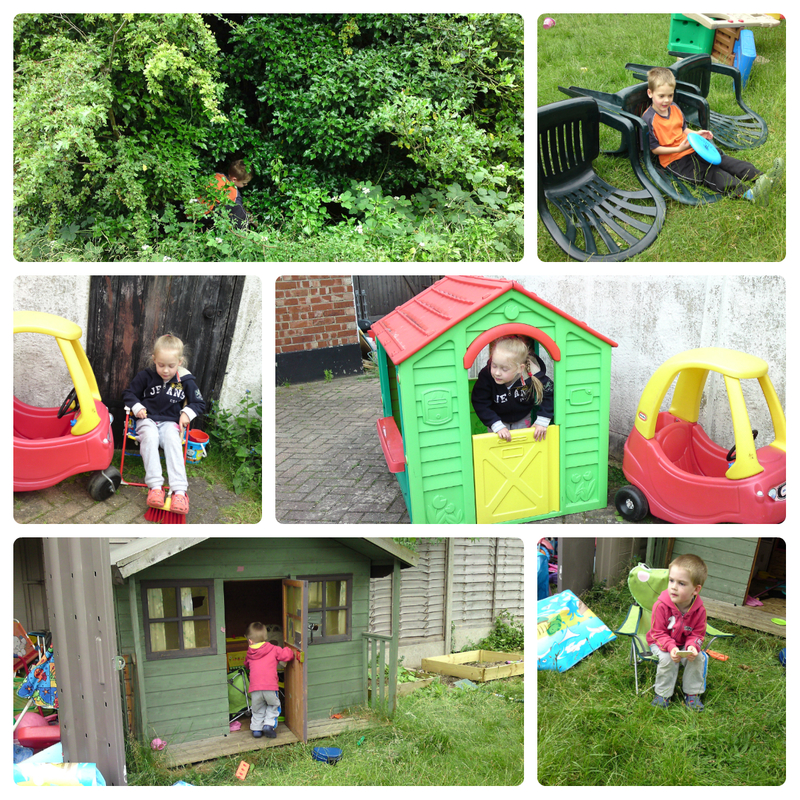 The kids played in the “talking bush”, on the climbing frame, found a huge ants nest in the sand pit, collected lots of ants!, played tennis, played lego, and lots more. In fact, they played really nicely together for hours. It was lovely! 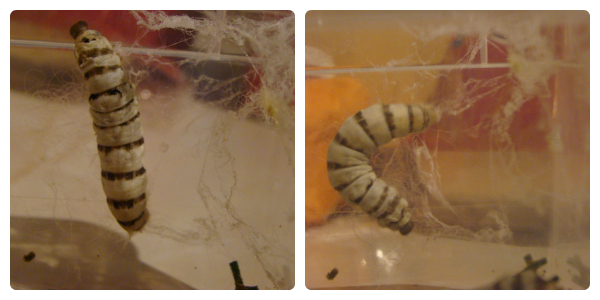 In other news, when we got home we found that one of the silkworms has started to make its cocoon. I’m hoping the others start soon because until they do we have to keep feeding them, which disturbs the one already spinning. This silkworm rearing is much harder than I imagined!